Using a car or opting for public transport in a town like Neath comes with some hassles. As a result,scooters are a more efficient transport option for commuting around the town. This article looks at the benefits of owning a scooter in Neath and why you should choose one of ours. Why Own a Scooter in Neath? Faster in Traffic: Scooters’ manoeuvrability makes them the perfect option if you are looking to move quickly in the city traffic. Parking: Scooters are small in size. Hence, you canpark your scooter almost anywhere, saving you the hassle of looking for parking space. Minimum Age: You can legally ride a scooter at 16. On the other hand, you won’t be able to obtain a licence to drive a car until you are 17. Fuel Economy: Scooters are highly fuel-efficient. Our 50ccs or 125ccs canlast for days or even weeks before they will need refilling again. Why Choose One of Our Scooters in Neath? Price: Our scooters are very affordable and are cheaper than scooters of some dealerships in the town. You can purchase one of ours for at least £999. The highest you’d pay for a scooter at Direct Bikes is £1099. Finance Options: We also allow you to pay in instalments if you cannot afford to pay at once. Variety: We have a variety of designs that will interest you. 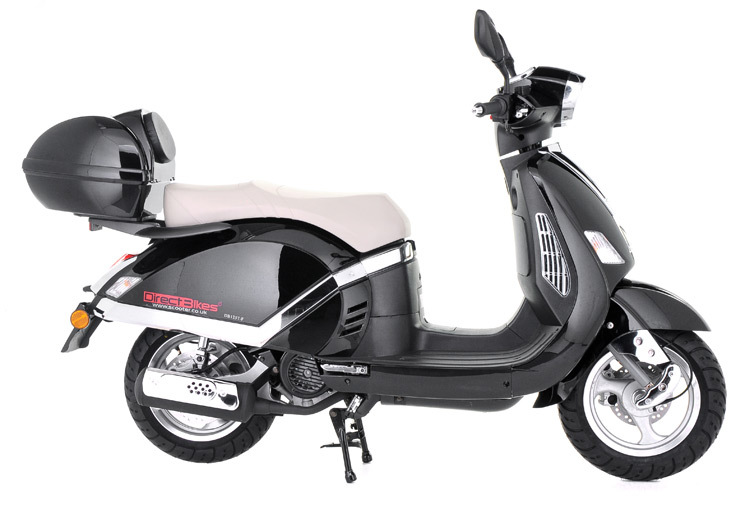 In addition to that, we also give you the option to customise your scooter’s colour. Insurance: We make getting cheap insurance policy easy by comparing quotes from the top insurers in the country. How Do You Get Your Scooter in Neath? Although we have no dealerships in town, we can deliver scooters to any part of Neath. All you have to do is fill in your delivery details when making payment. We’ll then use the information provided to calculate the delivery cost and determine the date and time. Browse our fantastic range of scooters today and get one of them!